Tafraout and the quartzite massifs of Jebel el Kest and Jebel Taskra are now well known amongst climbers as one of the best traditional climbing destinations on this side of the Atlantic. To the south of the town, set against the magnificent backdrop of Jebel el Kest, lies a paradise of granite domes in the semi-desert back-country – a fascinating selection of crags on the doorstep of the town, with everything from single-pitch sport to multi-pitch trad adventures. The climbing here is characterised by short approaches, year-round sunshine, and one of the most beautiful landscapes on Earth. 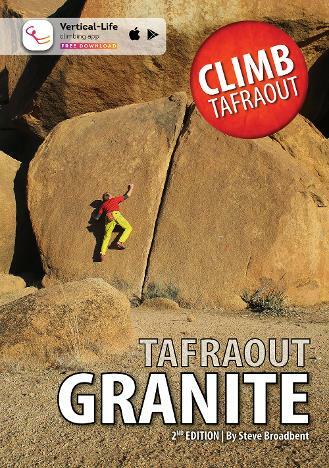 This guidebook describes almost 250 routes, from desperate jamming cracks and monster off-widths to delicate, bolt-protected slab climbs and desert boulder problems, all located within 7km of Tafraout. 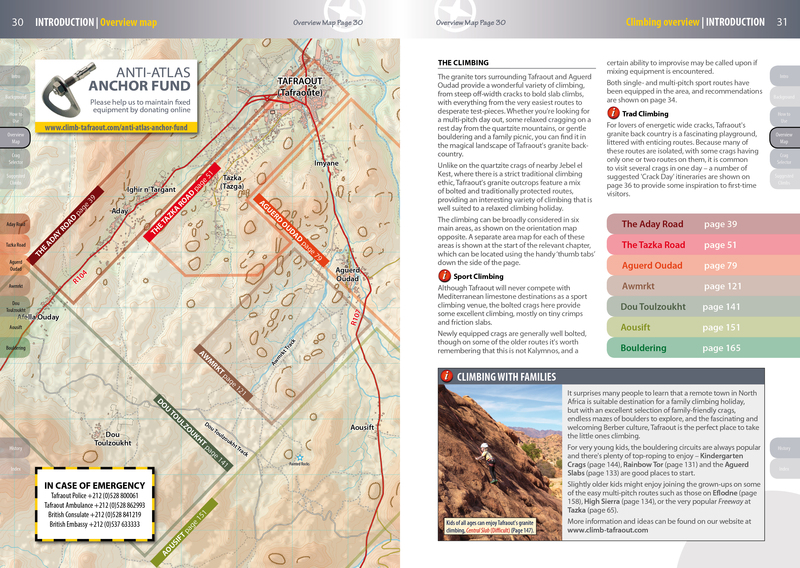 As well as clear, detailed mapping, the book includes full background information and photo topos throughout. Featuring clear 1:25000 mapping of the entire area, along with GPS coordinates to make navigation easier than ever. 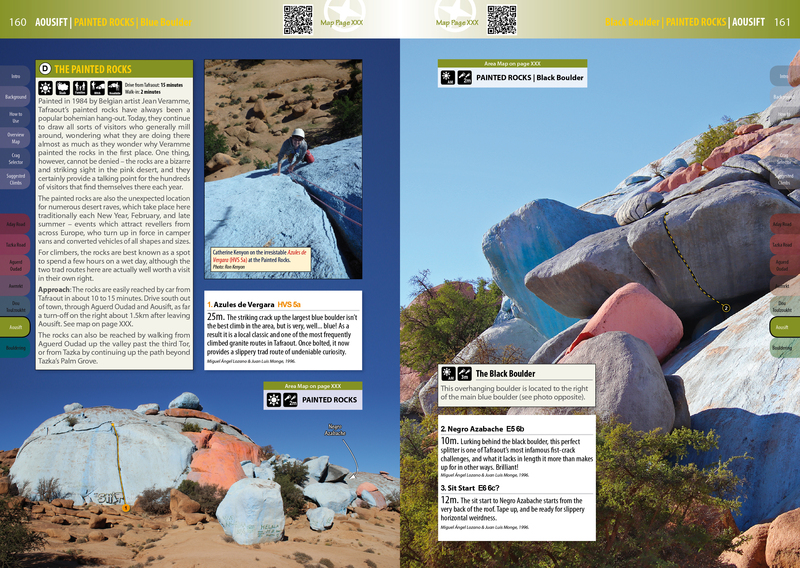 The guide comes with free access to Tafraout Granite on the Vertical Life guidebook app, meaning you can download all of the maps and topos to your mobile device.